Saint Mary Magdalene Catholic Church is one of the largest churches in the Charleston Diocese and encompasses over 24.5 acres. 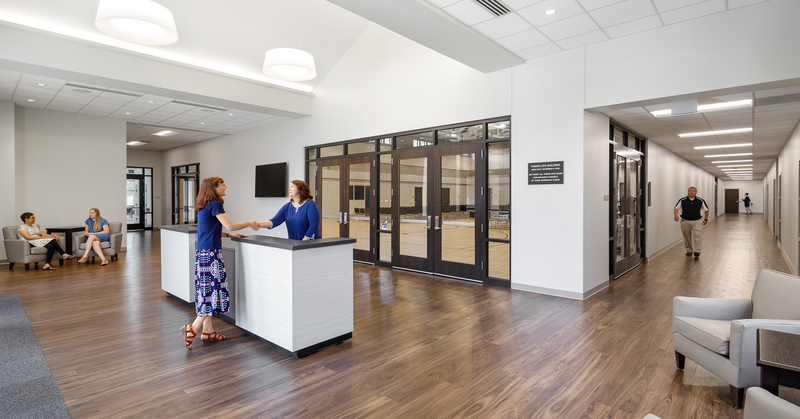 Continuing in its long-standing relationship our team, the church placed its faith in the firm to develop a vision for the future of their campus that would capture the spirit of the congregation and enable them to carry out their mission of being Called by Christ, Growing in Faith, and Serving with Love. 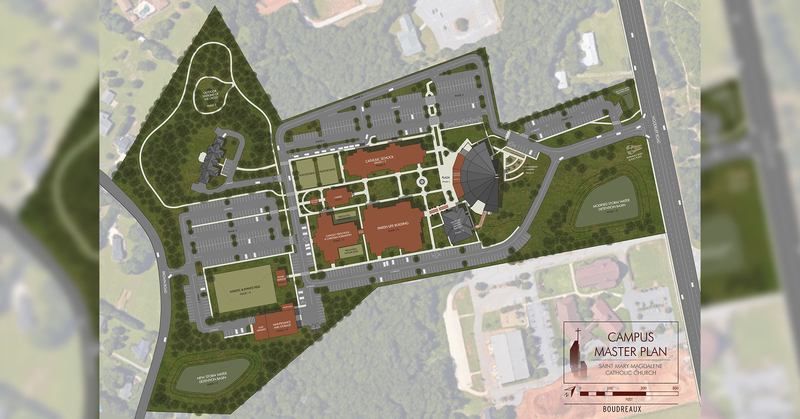 Through interactive focus groups, town hall style meetings, and design work sessions, we crafted a master plan for the entire campus to accommodate the varied needs of the growing church community. 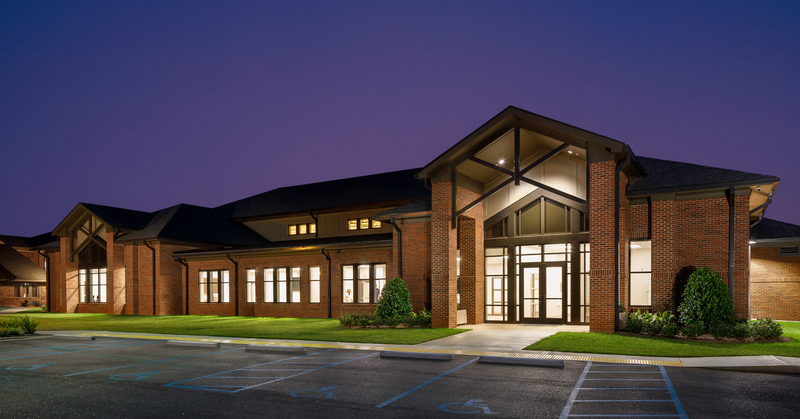 The outcome was the planning of new facilities that include a multi-purpose Parish Life Building, a Catholic pre-school and elementary school, dedicated space for the church’s ministries, a chapel, an expanded church narthex, and additional administration and meeting space to be built in multiple phases. 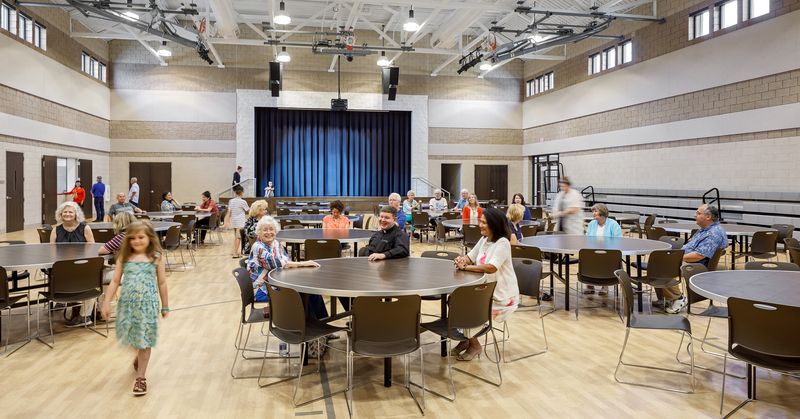 As the church embarked on its capital campaign, we continued to work with the church to develop the concept design for a new Parish Life Building—an approximately 23,000 square foot multi-purpose building with a 6,000 square foot Fellowship Hall suited for large events and gatherings—with a stage and basketball court, a large commercial kitchen, a Gathering Hall for events and banquets, and a variety of additional meeting rooms and gathering spaces. 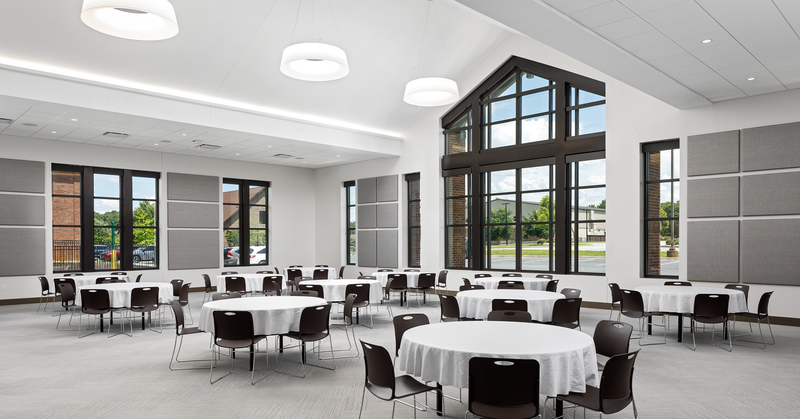 The building program, floor plan, and exterior design character were developed as part of the concept design effort; fundraising materials including several digital renderings and a large architectural model were produced to aid the church in its capital campaign effort. 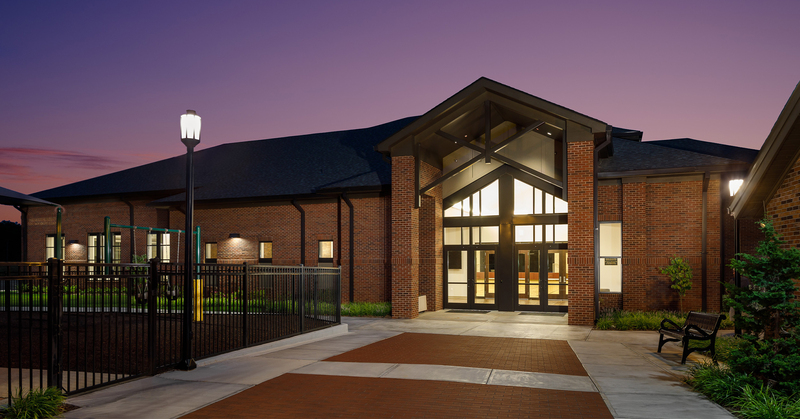 As a compliment to our continued dedication to the church, our team is honored to continue with completing the design of the Parish Life Building.